What if everything you think you know about Jesus is wrong? 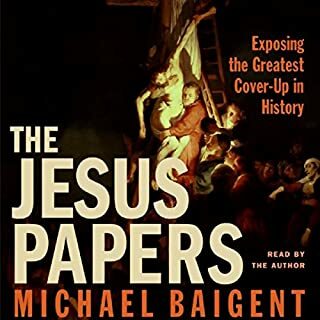 In The Jesus Papers, Michael Baigent reveals the truth about Jesus's life and crucifixion. Despite, or rather because of, all the celebration and veneration that have surrounded the figure of Jesus for centuries, Baigent asserts that Jesus and the circumstances leading to his death have been heavily mythologized. A nineteenth century French priest discovers something in his mountain village at the foot of the Pyrenees which enable him to amass and spend a fortune of millions of pounds. The tale seems to begin with buried treasure and then turns into an unprecedented historical detective story, a modern Grail quest leading back through cryptically coded parchments, secret societies, the Knights Templar, the Cathar heretics of the twelfth and thirteenth centuries and a dynasty of obscure French kings deposed more than 1,300 years ago. The authors' conclusions are persuasive. At the core is not material riches but a secret, a secret of explosive and controversial proportions, which radiates out from the little Pyrenees village to all the way to contemporary politics and the entire edifice of the Christian faith. It involves nothing less than the Holy Grail. Very thorough, am enjoying back and listening a second time to absorb all the information. I recommend this book for those interested in the "Jesus as man, not Messiah" idea. Great for French history as well. 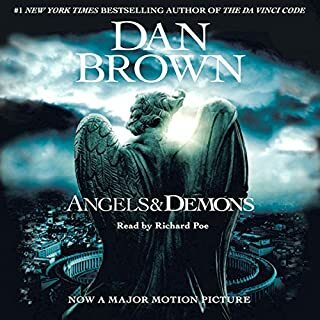 I first read this book in the late 80's and I remembering recognising it in the plot of the Da Vinci Code many years later. Of course, the authors famously sued Dan Brown's publishers for breach of copyright, but a Court found there was no infringement (Baigent & Ors v Random House). It was controversial then and it remains so now. I do not intend to set out the thesis here. It unfolds like a good thriller (in some ways in a more interesting manner than the devices adopted in the Da Vinci Code). However, as most will know, the tale concerns the alleged bloodline of the Magdalene and Jesus of Nazareth (or Galilee), the Knights Templar, the Priory of Sion and a traipse between Britain and the Middle East guided by Leonardo, Isaac Newton, Victor Hugo and other notables. Fun, exciting stuff, indeed. The text is written like a great adventure (Indiana Jones and the Last Crusade comes to mind) and is punctuated with a lot of dramatic rhetorical questions and leaps of logic (on the basis that the detail is too complex to set out in full, but "Trust me, I'm an historian!) Thoroughly entertaining, if a bit short on chain of proof (exacerbated by the abridgement of this production that does not include the the Introductions (either edition), the Afterword and Appendices). All of this is made more the worthwhile by the excellent narrative by Simon Prebble (one of my favourites). There's no need to take this too seriously, trying to follow the convolution in the tale on Wiki as you might with another doco. Just take it in, have the odd giggle and grin and enjoy the drama. Read this book decades ago and loaned it to many people, and got it back too. Not everyone cares what has happened in the last 2000 years, nor what happens in the future. This is really a book for the curious, people who would like to understand better about a lot of things. Tell some people Jesus had a wife and kids and heck no he did not get nailed to a cross and well it is just one of those conspiracy stories like the Earth is round. 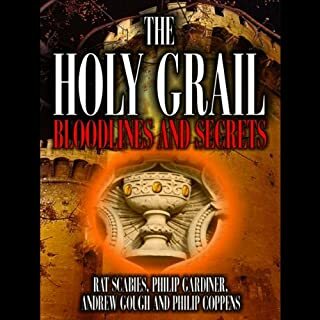 Picket and Prince were probably investigating 'The Templar Revelation' at about the same time Michael Baigent , Richard Leigh , Henry Lincoln were investigating 'Holy Blood..'. In this abridged form a lot of the actual researching is not there, and the main thrust, the big story is there. Well I found it really exciting back then lifetimes ago and still do.. How many people were brutally murdered because they thought and said.."Hang on a sec." Joseph was not Jesus' dad?" or worse. And wars waged because some idiots wanted to read the Good Book themselves. Simon Prebble does a good job reading this. 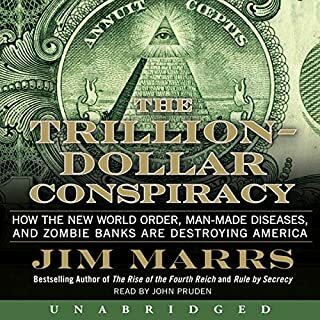 Even though this is abridged, it is a good listen for interesting people and if you really want to read it all, go on buy the hard copy. If nothing else it is a story about the hoodwinking of the west, for a few thousand years. 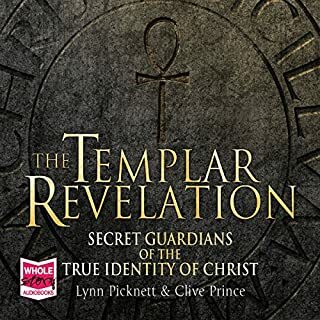 I listened to this book having had a basic understanding of most of the groups and theories involved, The Knights Templar, The Bible, The Priory of Scion etc, and I think this is well explained and well researched description of the connections that could be made between them. However I did feel they presented certain theories as fact without giving sufficient explanation and leaned heavily on assumptions, creating some very tenuous links. I think if you listen to this with a balanced and perhaps slightly skeptical ear you will find it very entertaining. The premise behind this tale is that Mary Magdalen bore Jesus a child, the descendents of which joined the ancient Merovingian families of France and survive to the present day. The evidence given for this is based on parchments allegedly discovered by Berenger Sauniere in Rennes Le Chateau in the 19th Century combined with documents released by an organisation called the Priory or Sion through the 1950s and 1960s. There are a lot of holes in the evidence and an astonishing number of assumptions made. Also I ask whether the members of the so called Priory of Sion in its modern form have some sort of motive in perpetrating a hoax that took in the authors. 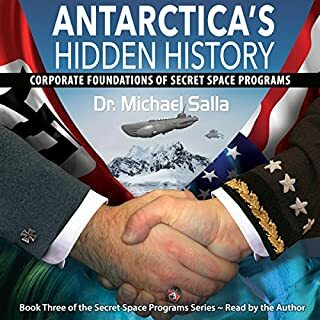 Nevertheless, this is an entertaining and well narrated audiobook based around an intriguing but ultimately unproven hypothesis. Although everyone will believe what they want, the book has put some good research together and some different twists to suggest that Priory de Sion hold some explosive information. However, if it was that explosive why hasn't it been revealed. I enjoyed the book, but was lost from time to time on where it was going. Basically lets look at what we are saying is true or not true here. What you read or listen to in the pages of this or the after the event, concocted for the good of the church load of rubbish that is written in the bible. The thing for me is that some place all their faith in a book we know was put together giving a slant in favour of the church in the 5th centuary. My thoughts expressed here may lead some to think I am not a spiritual person but I believe Jesus survived the cruxifiction and lived on for many years. Ok this may be controversial, not a conspiracy theory. The text I thought was about knights Templar but no far more. I thought dan brown was one off on on the da Vinci code but it’s here all over again. My goodness no use saying I told you so. Did I see it coming? Mostly..
interesting but a hard read. lots of names and dates to remember mostly French. despite that is tantalizingly mysterious. hypothesis is very plausible. The authors have clearly researched thoroughly. brush up on your French geneology though. 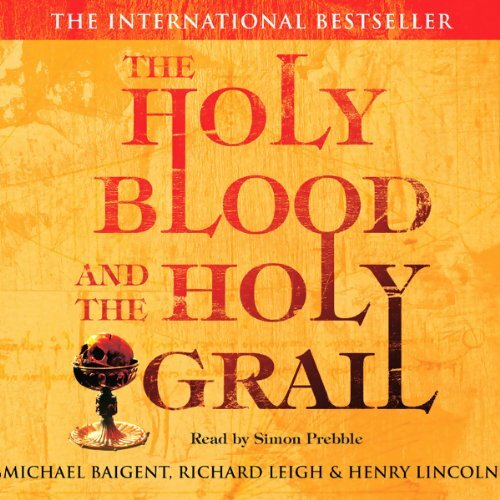 Enjoyed the audio of this book immensely although factual dates did distract sometimes from what was being said. Having said that it was a great listen and recommend it. I really enjoyed the book and found it engaging to listen to. I would recommend this if you are interested in an alternative way of thinking about history. Fantastic book with lots of facts, hard at times due to jumping from one year to another but overall a brilliant book. Thought provoking and challenging the way I view past events that have impacted the present day.